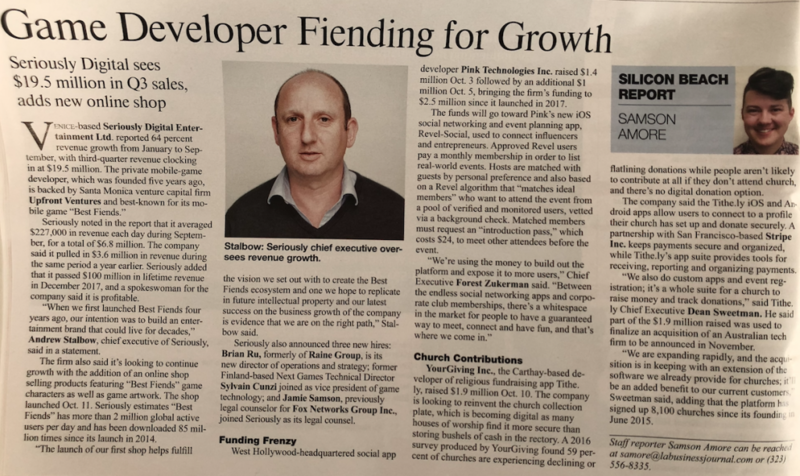 Seriously in the News: An Update on Company Growth! In case you missed it, Seriously announced some exciting news this past week! Not only did we launch our Best Fiends shop, but we also released some of our recent growth numbers. We’ve executed our vision over these past five years setting a foundation for many more exciting things to come and we want to share that journey with you. You can read all about our growth and the awesome online shop in GameIndustry.biz and PocketGamer.biz! Or be sure to grab a copy of the latest Los Angeles Business Journal issue.